Moving briskly through the hall with a plate of food in her hand and a welcoming smile on her face. A waitress takes your order and brings you food at whichever cafe or restaurant you may choose to eat at. If you come to a bright and comfortable shop with girls who serve you well, you may find yourself thinking, "I will come again!" 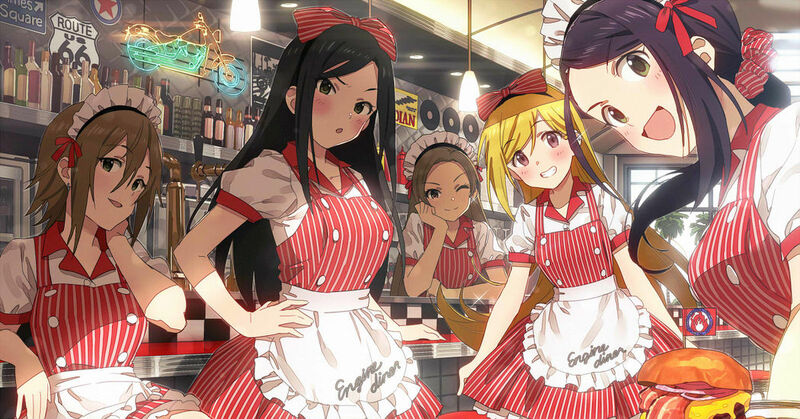 This time we are featuring illustrations of waitresses. Enjoy!